There never was a Palestine. 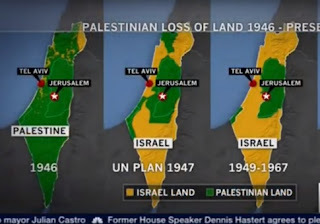 Actually, most of the land depicted as Palestine was mostly inhabited by anyone. 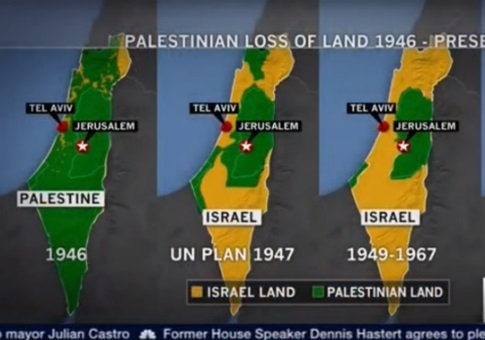 MSNBC has admitted that highly controversial graphics aired on the network that depicted Israel as stealing land from the Palestinians were factually wrong and that the broadcast would be corrected on Monday, according to a network spokesperson.